I have created intricate Celtic Knot Work as art for Calligraphy. 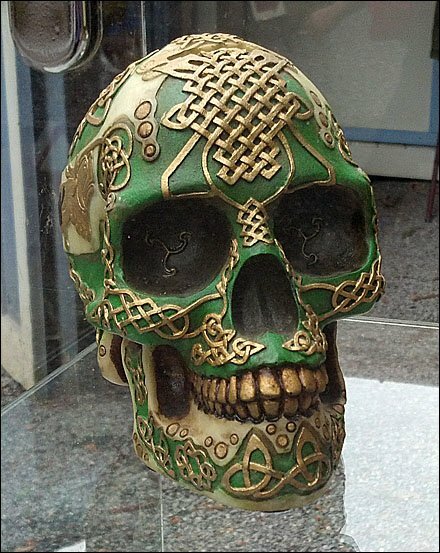 I’m not sure I would relish carving it into a decorative skull for Halloween … or any even darker Holiday. But this Celtic Is The New Halloween embellishment is eye-catching and drew shoppers at the Pennsylvania Renaissance Faire at the Mount Hope Winery. 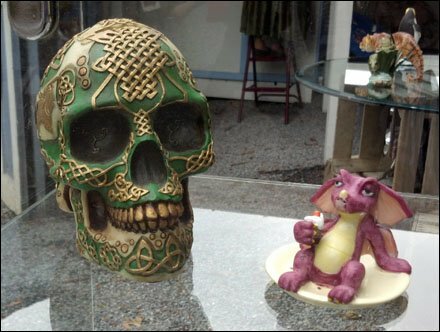 What eerie vision will you set out as Visual Merchandising to draw a crowd of your own. CLICK the Celtic Is The New Halloween thumbnail for skull and “familiars” together. “Medieval Merchandising Pinterest Board” for a visual summary.